Mr. Eugene "Gene" Gibbs passed away Monday, March 18, 2019 at his residence. Mr. Gibbs was born March 4, 1936 to Tom Gibbs, Sr., and Ethel Flowers Gibbs in Colquitt County. He was the seventh of nine children. The family was known to be hard-working, honest people. He is survived by his wife, Dixie May Gibbs of Adel; daughter, Regina (Leif) Purvis of Adel; two grandchildren, Hailey Purvis of Decatur, GA, and Christian Purvis of Valdosta; one brother, Darrell Gibbs of Moultrie; and two sisters, Faye Gibbs Henson of Lexington, KY and Lucille Gibbs May of Marietta, GA. Mr. Gibbs was a member of First Baptist Church of Adel for 58 years. Mr. Gibbs started school at Cuberson where he enjoyed playing baseball and football after school. When he was at Colquitt High School, he was active in 4H and won the highest 4H recognition at the National Championship in Chicago, IL. Graduating Colquitt High School in 1954, he was elected Most Likely To Succeed. After graduation, Mr. Gibbs attended ABAC in Tifton, where he served as Vice President of the Freshmen Class and Vice President of The Baptist Student Union. He transferred from ABAC to Valdosta State College graduating in 1958 with a BS degree in Chemistry. While at VSC, he was only one of 30 men attending the college. He was President of the Science Club. Mr. Gibbs also joined the United States Army Reserve while in college and served for six years. After graduating from college, Mr. Gibbs worked for the Experiment Station for the State of Georgia in Griffin, GA. He took another position in Daytona, Fl, working as a chemist for the US Government missile program. Mr. Gibbs left Daytona to work in Atlanta, Ga for Sidell-Wooley as the head chemist. He later worked for Production Plating Co., in Adel. While working at Production Plating, he served as President of the American Electroplating Association and was a speaker at the National American Electroplating Conference. In 1968, Mr. Gibbs founded Southern Plating Co. in Moultrie, and was owner and manager for 34 years. After retiring, he farmed, raising cattle and growing peanuts. Mr. Gibbs coached Little League baseball in Cook County. The Cardinals won two State Championships while he was their coach. He also served on the Cook County Board of Education. 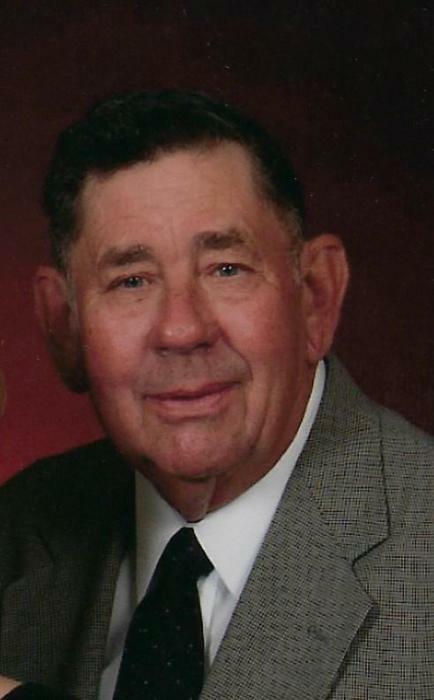 Mr. Gibbs was instrumental in organizing the Pine Valley Fire Department where he was active for many years. Other than his family, Mr. Gibbs two passions were the Georgia Bulldogs and fishing. Funeral services will be held Thursday, March 21, 2019 at First Baptist Church of Adel at 2:00 p.m. with Rev. Doug Stevens, Rev. Bill Marlette, and Rev. Ben Smith officiating. Interment will follow at Antioch United Methodist Church Cemetery. The family will be receiving friends Wednesday evening from 6-8 p.m. at Purvis Funeral Home. In lieu of flowers, donations may be made to the Pine Valley Volunteer Fire Department.